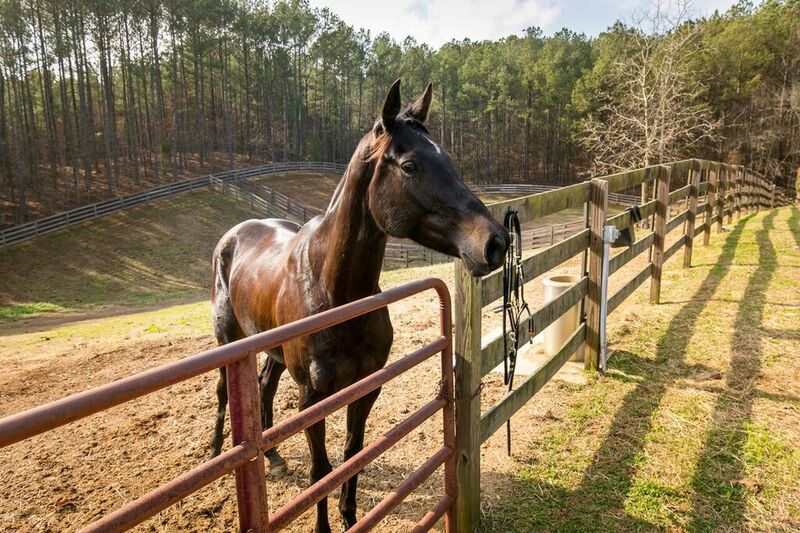 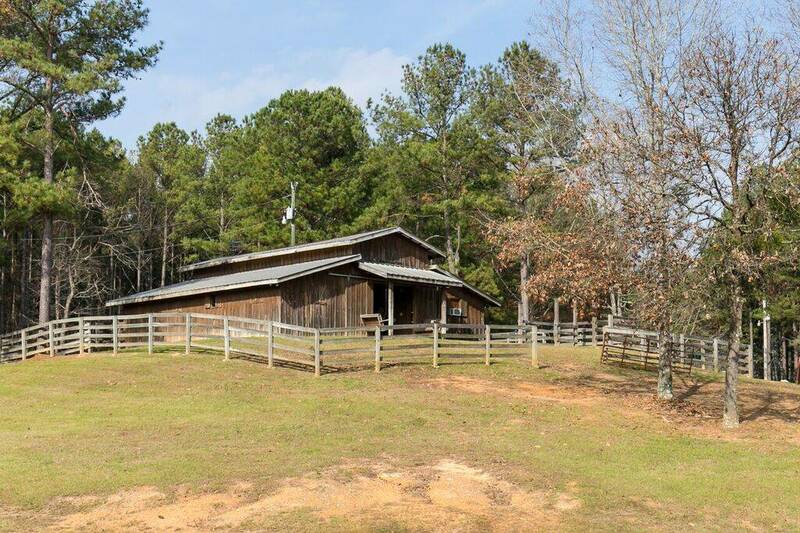 Horse Lover’s Dream on 40 acres in Sterrett! 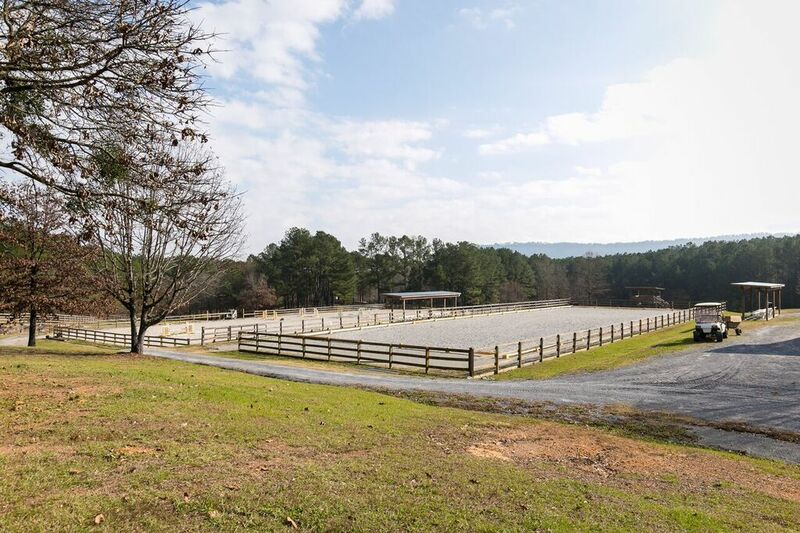 This equestrian paradise with too many extras to list is move-in ready for a fully equipped Hunter-Jumper facility or any type of equestrian enthusiast! 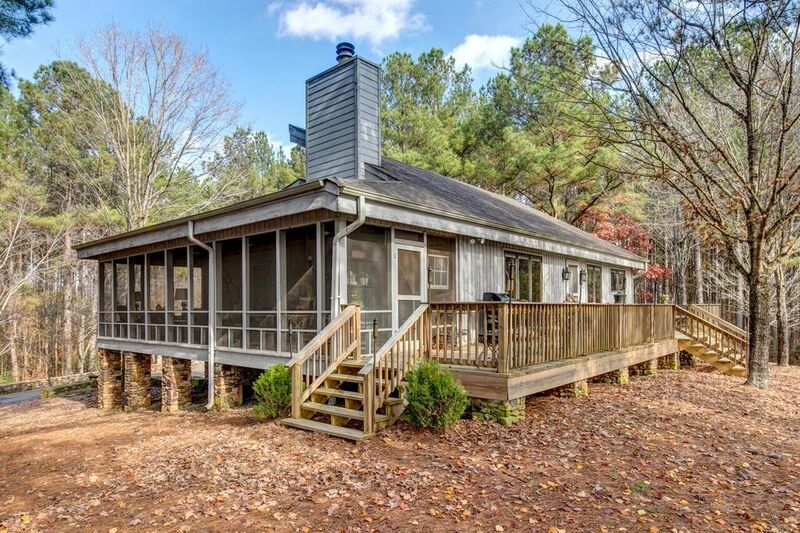 This must-see property offers a 3 bed 2 bath 2 garage home with inviting screened in porch & open deck with serene views of the hills. 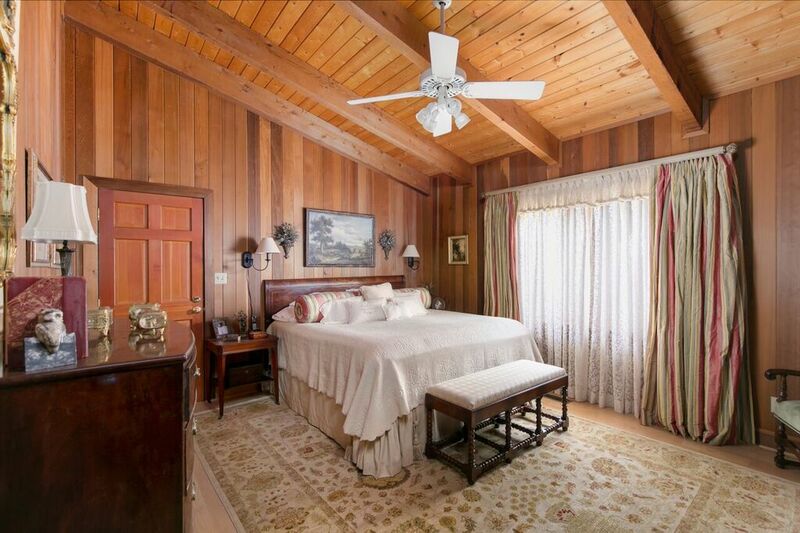 Gorgeous wood paneling & floors make this home the perfect rustic retreat. 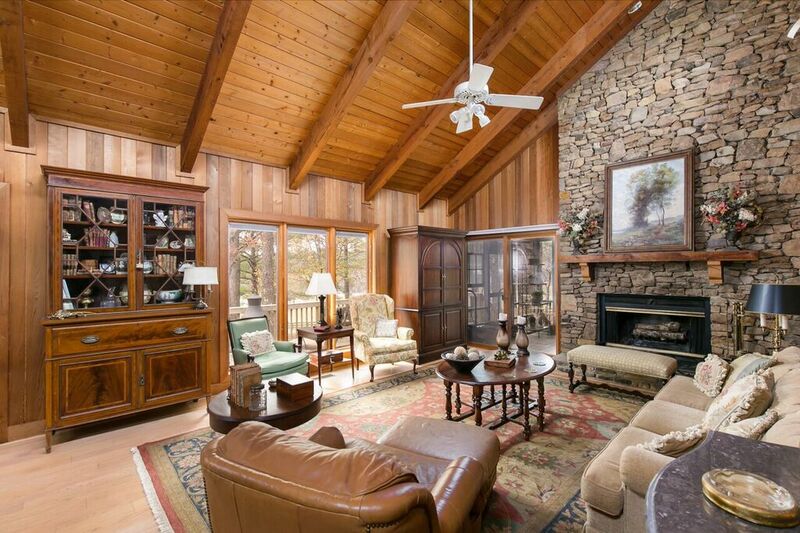 Vaulted ceilings & clerestory windows infuse the living room with natural light. 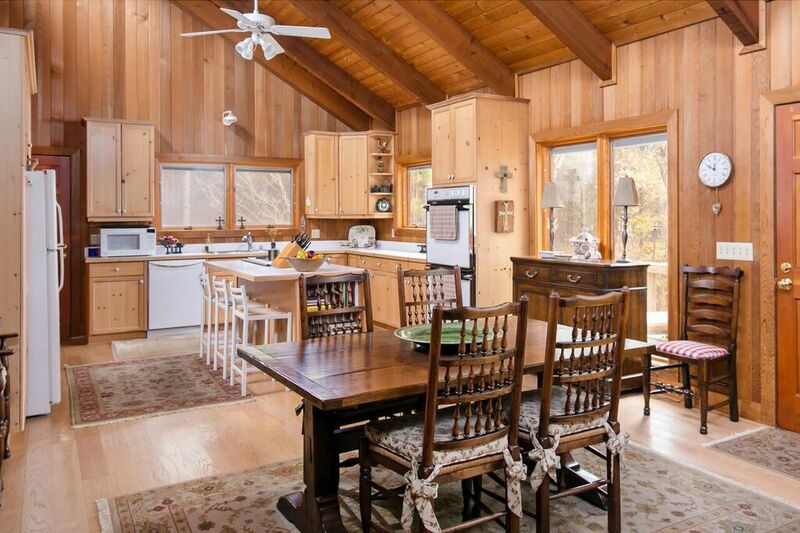 Open kitchen features island and bar seating. 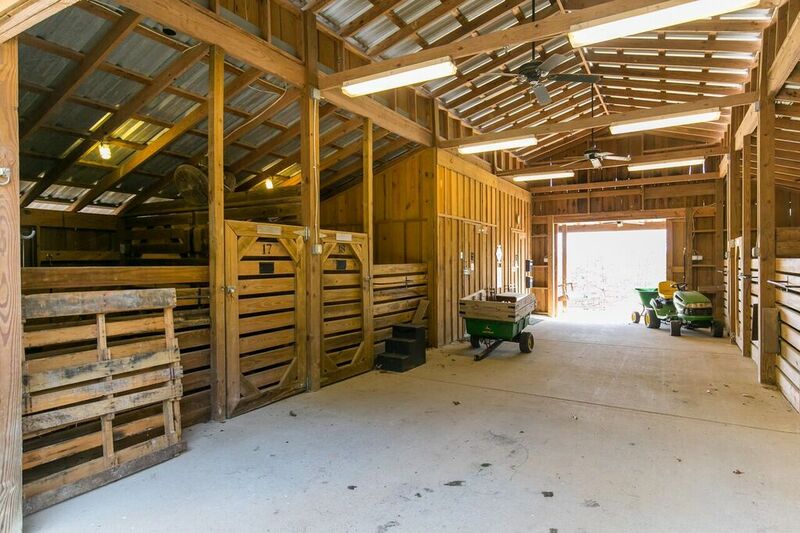 The equestrian amenities include: 2 barns with a total of 18 stalls; 2.5 acre stocked lake & 1/2 acre pond, wooded trails; 10 acres of pasture; 6 turn-out paddocks & irrigated covered, show jumping & dressage arenas. 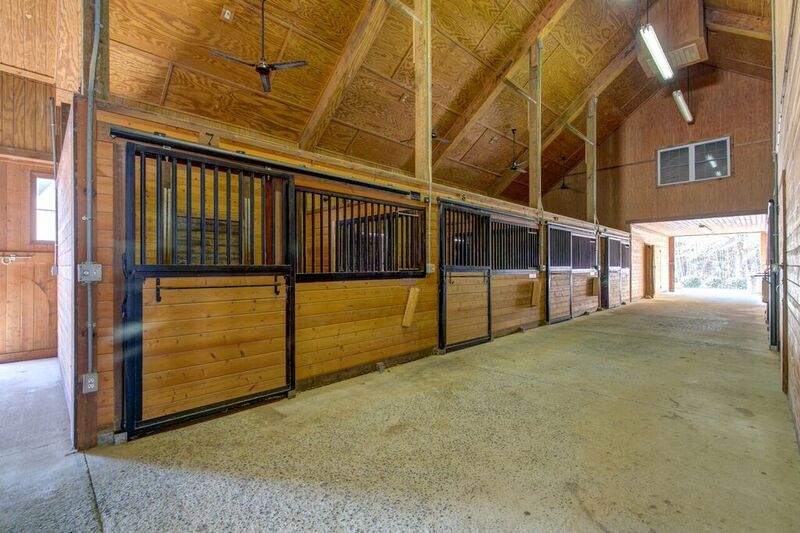 Main barn with apartment, kitchen, lounge area, 2 full baths, office, tackroom, wash stalls, storage, dog lounge, hay loft & more!! 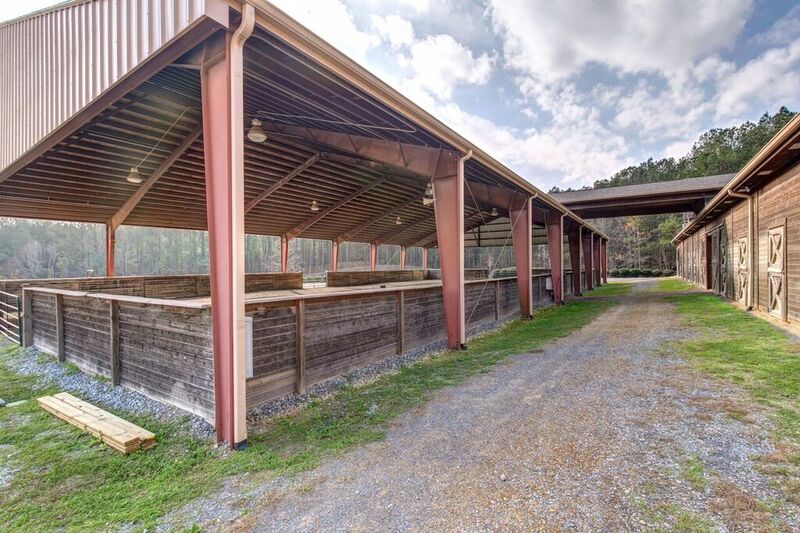 Don’t miss this truly unique investment opportunity & escape to the beautiful rolling hills of central Alabama! 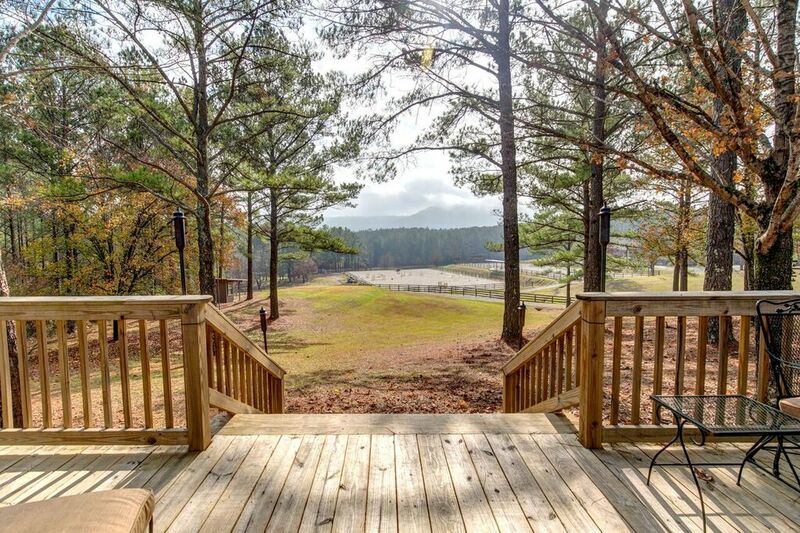 • Inviting, spacious screened in porch & open deck with serene views of the hills. 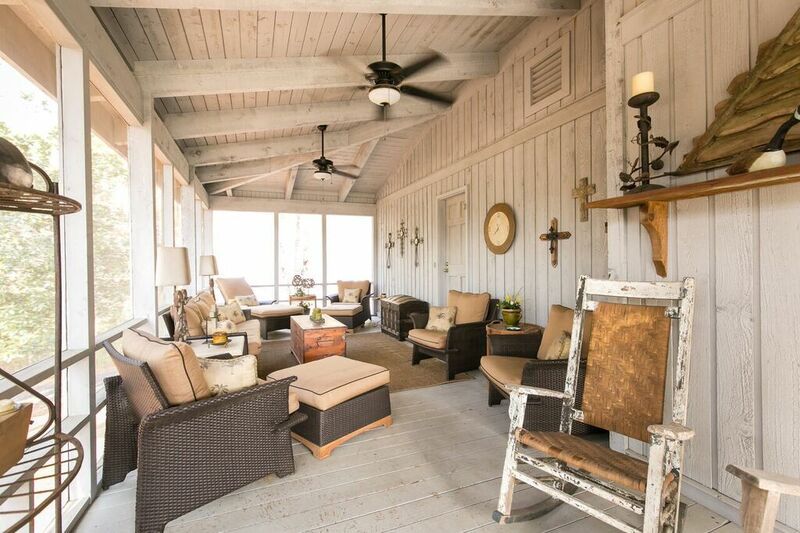 Relax and dine outdoors year round! 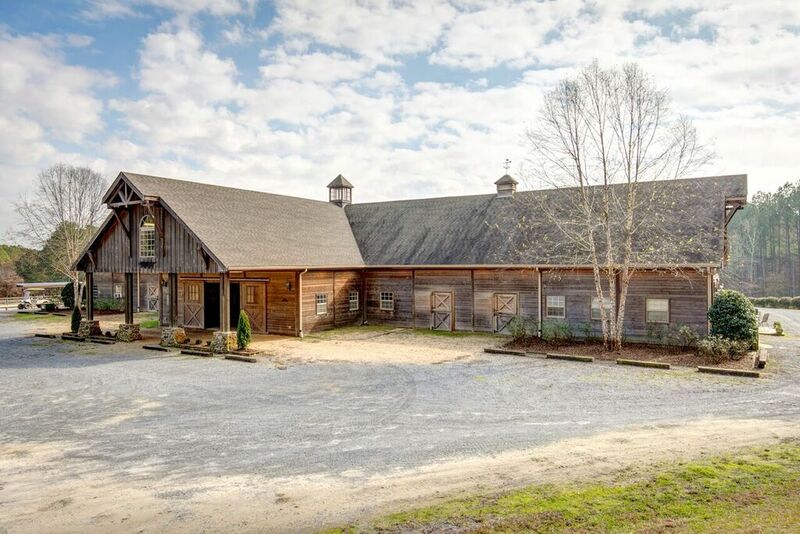 • Gorgeous wood paneling, wood beams & hardwood floors make this home the quintessential rustic retreat. 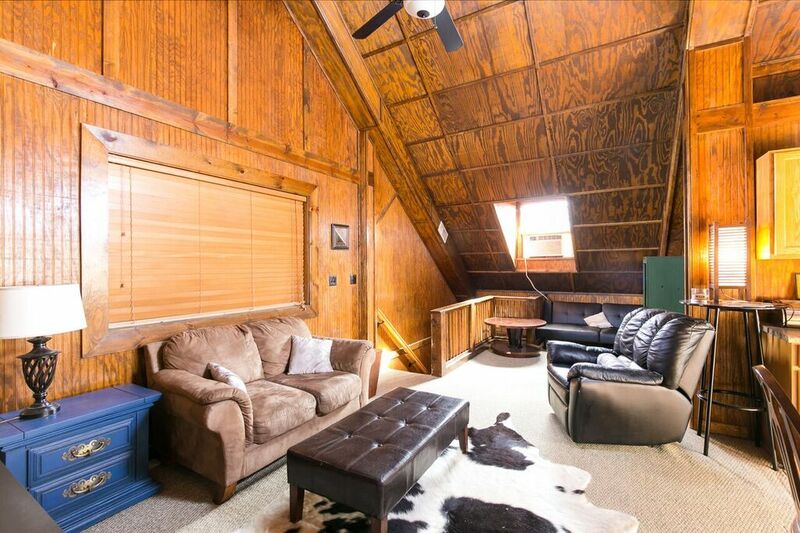 • Vaulted ceilings & clerestory windows infuse the living room with natural light.